A helpful guide to dog food ratings based on the quality and quantity of ingredients. 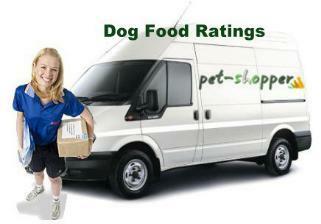 As a general rule Pet Shopper does not recommend any dog foods which have a score below 3. The list below shows well known dog foods available in the UK by rating, starting with 5 star scores at the top and with the lowest scoring foods at the bottom. 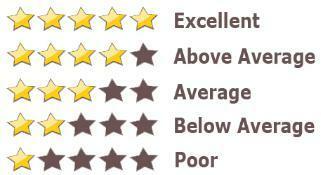 The above ratings are based on a average score for the brands from allaboutdogfood.co.uk If your dog's food is not listed here please visit them as a more comprehensive list is available there .